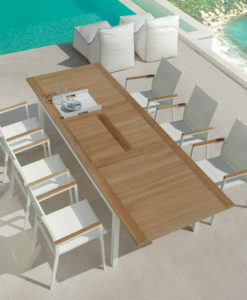 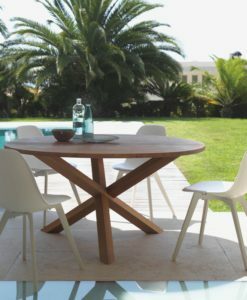 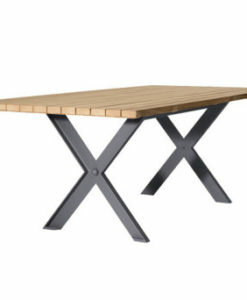 Badar dining table is a contemporary teak top dining table with a touch of luxury modern style. 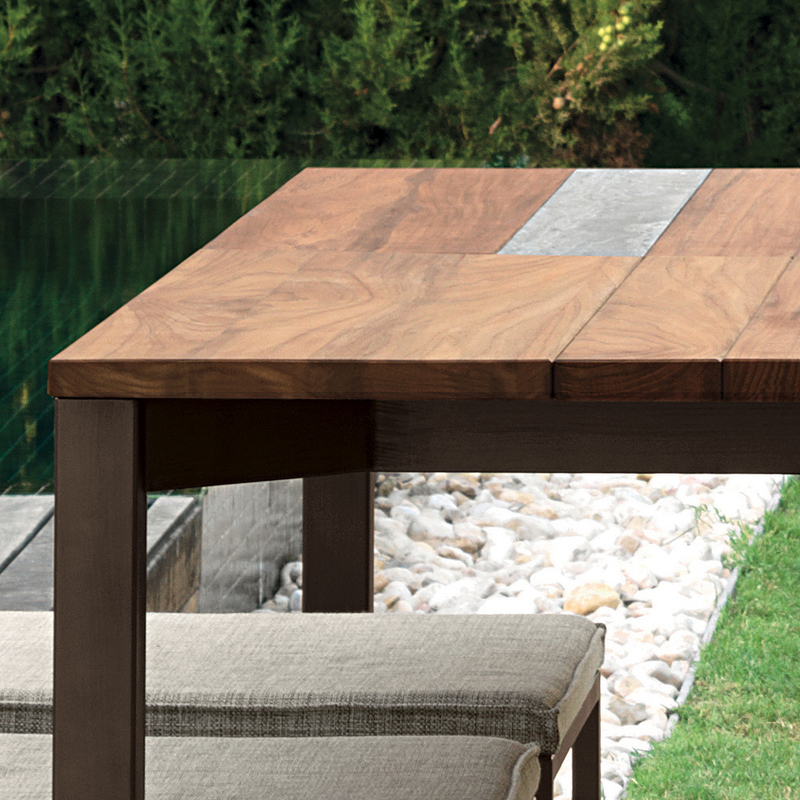 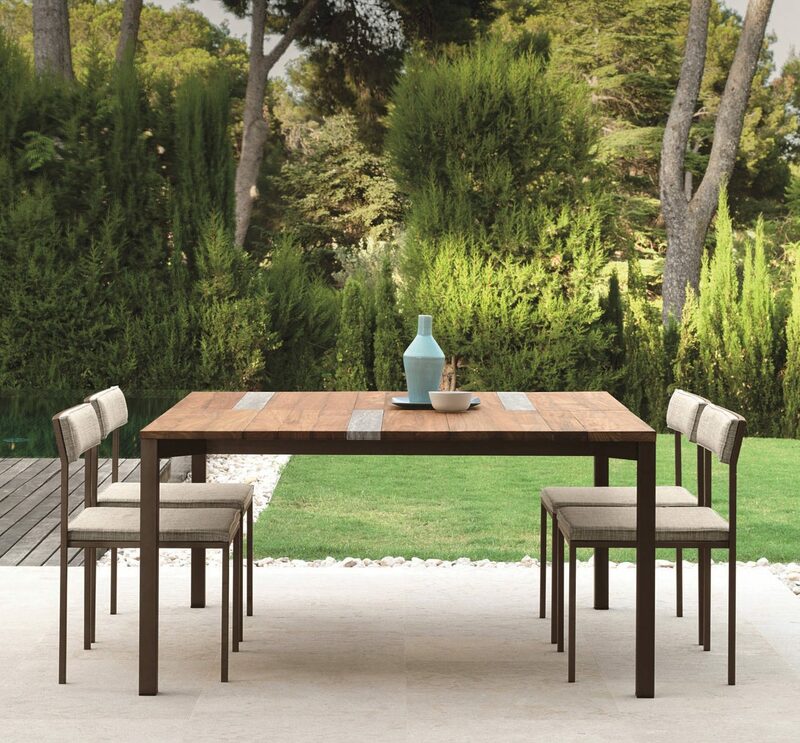 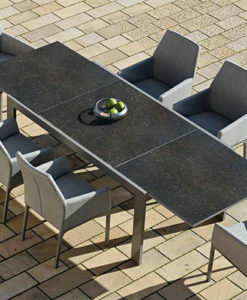 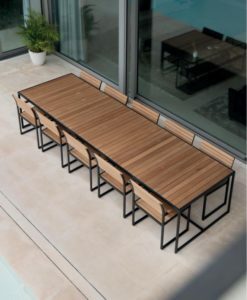 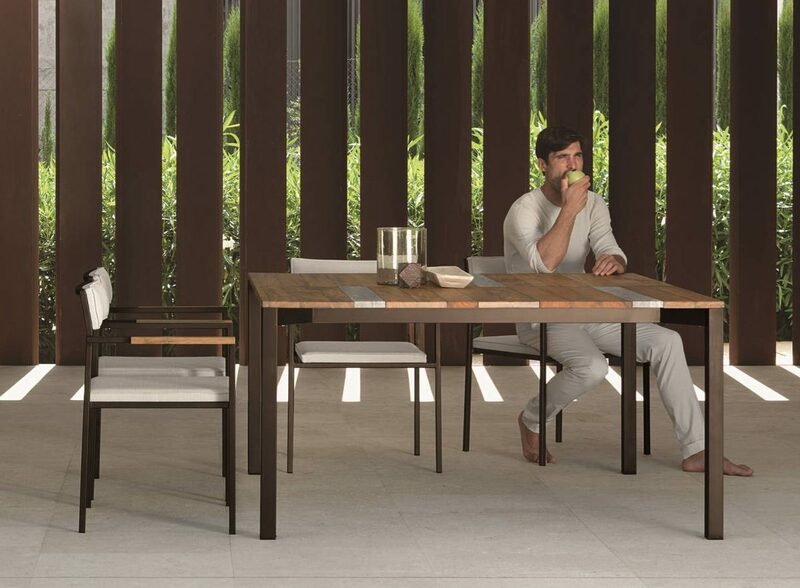 Badar dining table offers brushed stainless brown or gold frame structure available with beautiful travertine inserts. 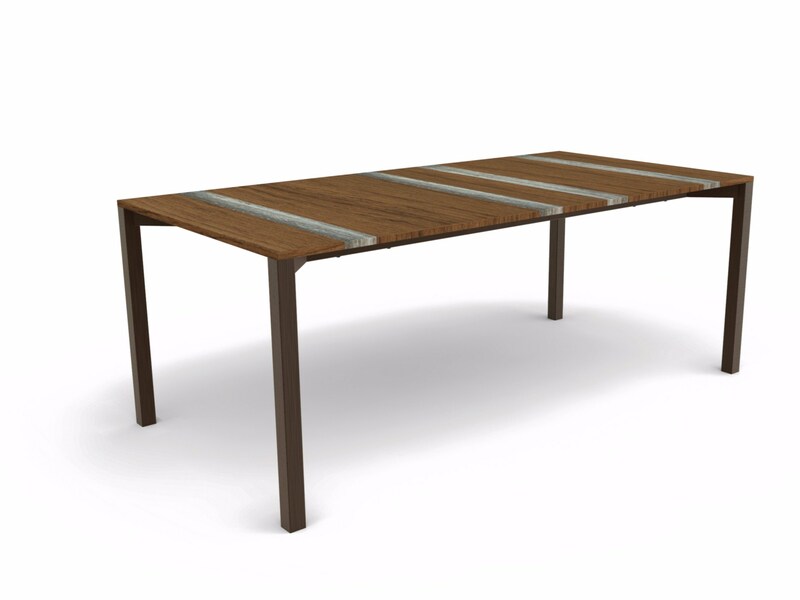 Frame stainless steel, dark brown or gold. 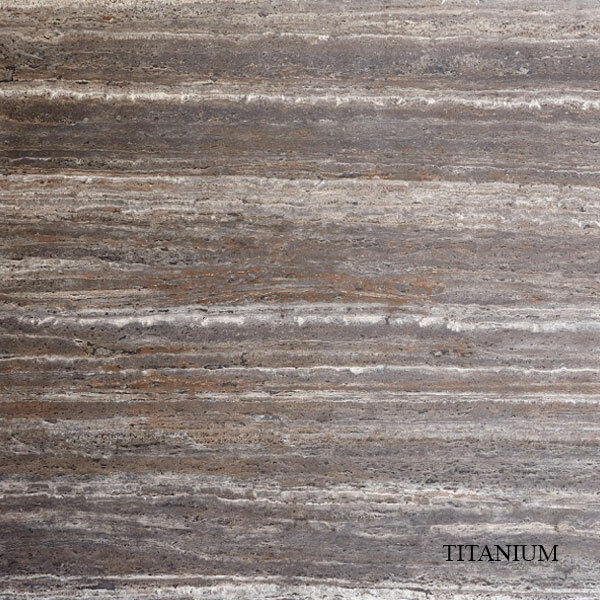 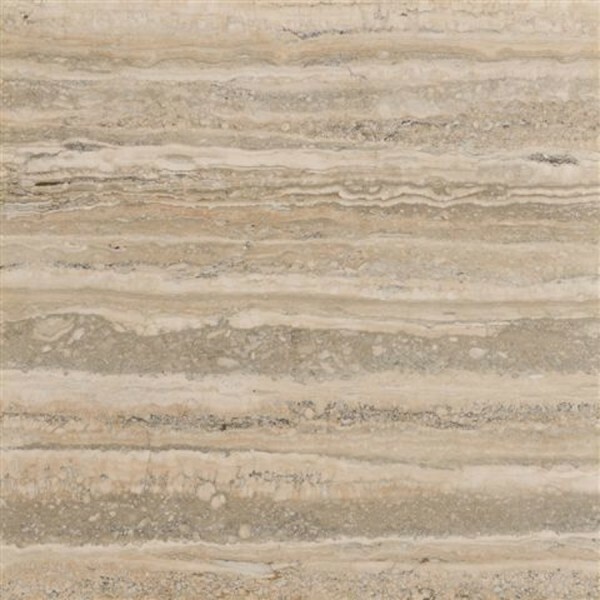 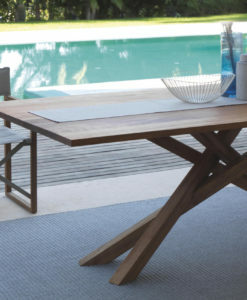 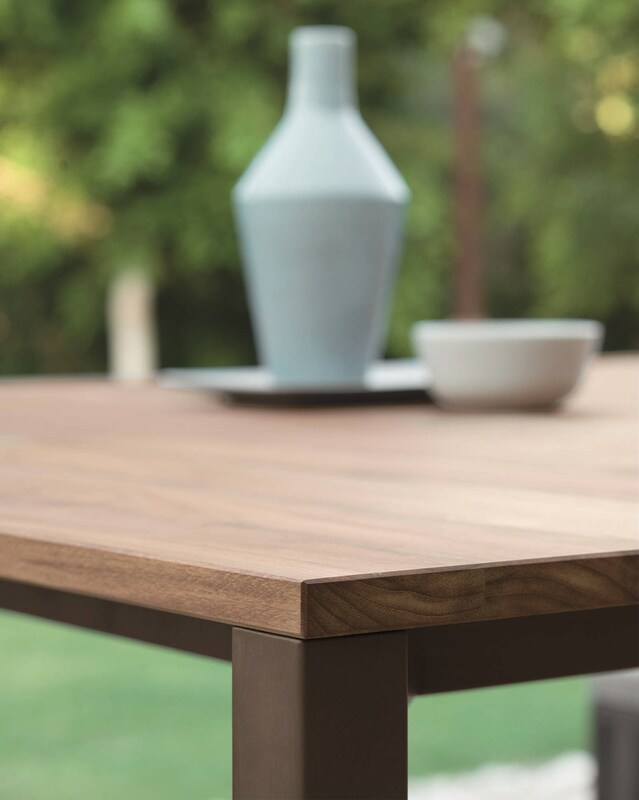 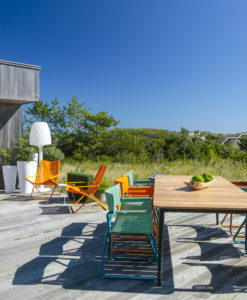 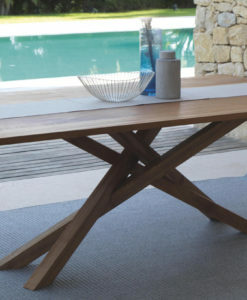 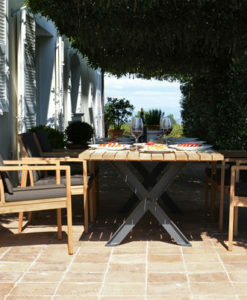 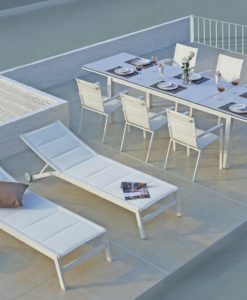 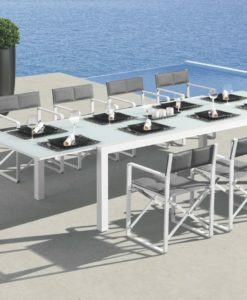 Travertine inserts make this table unique in style and design. 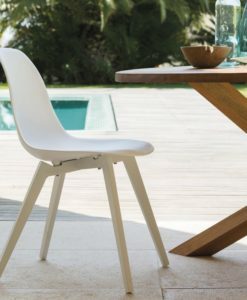 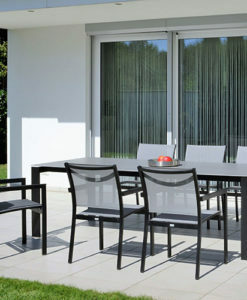 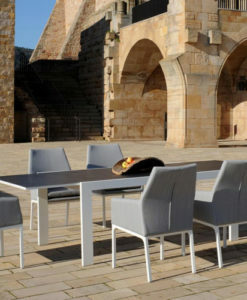 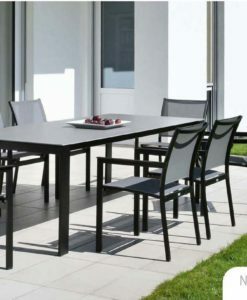 Arm dining chair or armless choose from 2 different size table. 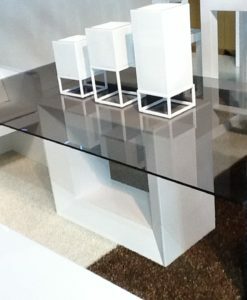 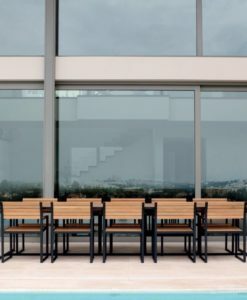 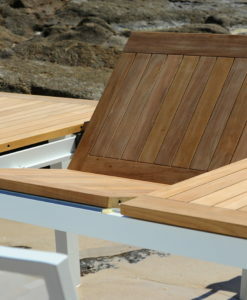 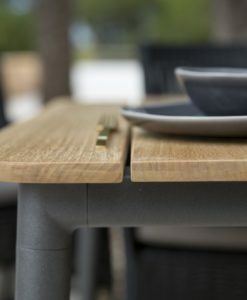 Titanium slats colors for the table and dining chairs.